It is now exactly 50 days until my next book is released. After seven Jessica Daniel novels, and a one-off urban thriller, Watched, RECKONING is out on May 22, and is my first venture into a new genre. It is part one of the Silver Blackthorn trilogy, an adventure-fantasy series set in the near future. I am running a FREE prize draw. 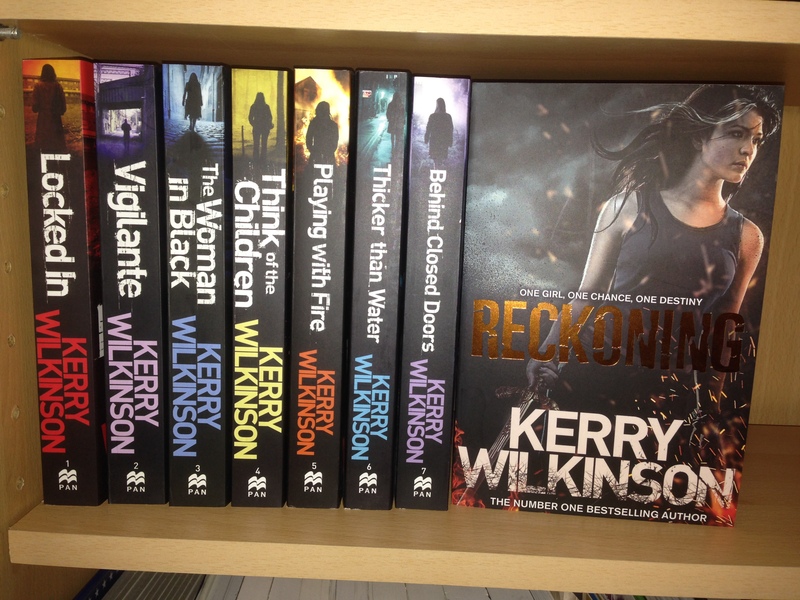 The lucky winner will get a FULL SET of all eight of my paperbacks, including a signed copy of RECKONING. Five runners-up will receive a copy of RECKONING. Your details will not be shared with any other person or organisation. You’ll receive a few emails a year with details of my latest releases, giveaways and appearances. If you’re already on the list, you automatically have one entry into the prize draw. If you’re not, fill in the form below. The Silver Blackthorn series has its own Facebook page here. If you like that page, you get a second entry. The Jessica page has been running a lot longer than Silver’s and if you like AND leave a comment – any comment – on this thread you’ll get a third entry (you also have to be a member of the page). I don’t tweet that much about my books, more about ducks that nearly take me out while I’m on my bike, random quotes from The Simpsons, complaints about the rain, or a multitude of other things. Anyway, if you follow me, let me know by sending me a tweet. This will get you a fourth entry. That’s four ways of entering, so you can quadruple your chance by doing the lot. The closing date is 18:00 BST on Saturday, April 12. I’ll contact the winner and runners-up directly, plus post their names on this site.